Scott McCartney’s story in today’s Wall Street Journal makes some excellent points about the special challenges of saving lives in aviation catastrophes. First of all, let’s set aside the myth that an aviation accident = everybody dead. It’s not the case though it leads some people adopt the fatalistic and passive view that if anything goes wrong there’s little they can do about it. But at a hangar at London’s Heathrow Airport, British Airways is giving select passengers a dare-I-say crash course in accident survivability. It’s a one-day class offered for the frequent-flying employees of companies who are customers of BA. Scott writes that the airline is considering whether to offer the training to the public for a fee or in exchange for frequent flier miles. I’ll admit on first reading I was perturbed by Andy Clubb, the flight attendant who runs the class, who told Scott, "We teach people to react faster than anyone else so they are in the aisle first and down the slide first," but Clubb goes on to explain that when a confident passenger demonstrates the correct way to respond, others will follow. Passengers as exemplars is a fabulous idea, a safety spin on the lesson of United Airlines flight 93 that once the door to the plane is closed the folks inside are a self-contained and necessarily self-sufficient community. In a crisis, survival depends on how well the community works as a whole. What’s a tad bit troubling is that British Airways is considering charging tuition of $220 for the school. If better safety on the plane becomes another source of ancillary revenue like better service at the airport well, that would be wrong. 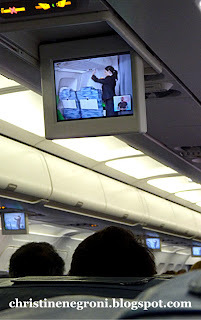 Passengers deserve some of the blame for being blasé about safety, but with a few exceptions such as Air New Zealand, Southwest and Cebu Pacific (see their videos below) the airlines have done little to make the safety briefing relevant or interesting to passengers. For the most part, their flight attendants are up there droning on and on - boring us to death with information that could save our lives. So my proposal is this; how about all the airlines join BA in this innovative new program and invite their most frequent travelers to take a safety course for free? Then, in return, and "in the unlikely event of an emergency" these trained passengers would follow instructions text-book style and show the rest of us how its done. Christine, you have a great idea there. I'll raise you. I think that the airlines should "pay" people to take the course. How about course-graduates get preference for exit row and bulkhead seating and move to the front of the queue for any "space available" boarding? 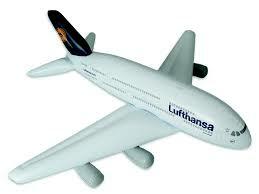 That would bring in the frequent fliers, who are the best folks to have trained and ready. One of my pet peeves is when an airline permits or even promotes making the safety announcements into an "Americas Got Talent" audition. How do you expect customers to take these instructions seriously when the airline doesn't. On the other hand, I am not sure that using the fact that "We're ready for the crash!" is a good marketing strategy. Here's another alternative. Have one of the umpteen movie channels in the back of the plane show a Discovery or Nat Geo style documentary on the crash subject and how to effectively survive. You know, real life stories that show the importance of this knowledge. Finally, I must say that coercing people to do what is good for them is part of the reason we are having this conversation. People need to take a little personal responsibility here. This sounds too much like, "Do your homework and I will get you a Happy Meal." Wait a minute, I've got it. Let's give everyone who doesn't talk on their mobile phone while driving to the airport and upgrade. I bet First Class would still only have full fare passengers. "Evacuating a 777 is a little frightening"
Your next assignment, should you choose to accept it, is to find a demo slide for the upper-deck of an AIRBUS 380 and give it a try. Yikes! Accept vulgarity, etc editing, but only things pleasing to blog author?